$3,499.99 Seen a lower price? $3,769.99 Seen a lower price? Witness the KRONOS. 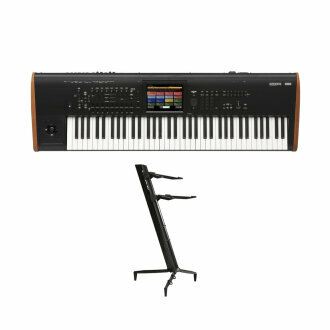 Created by KORG to satisfy today's most demanding, accomplished performers and producers -- as well as tomorrow's visionary leaders -- the KRONOS embodies over 50 years of artistic vision and production expertise. With nine distinct synthesis engines and a complete suite of performance and productions tools, KRONOS is simply the most versatile synthesizer ever made. KRONOS restores the magic, the thrill, and the promise that only a visionary new instrument can provide. And KRONOS delivers on that promise. Every resources and technology of service to the modern musician has been refined, perfected, and integrated into a single instrument, and is available on demand. Multiple state-of-the-art sound generation techniques represent the pinnacle of software realization. Onboard effects open the door to processing any internal or external audio source with dazzling results. Multitrack audio and MIDI recording deliver efficient studio operations in a mobile platform. 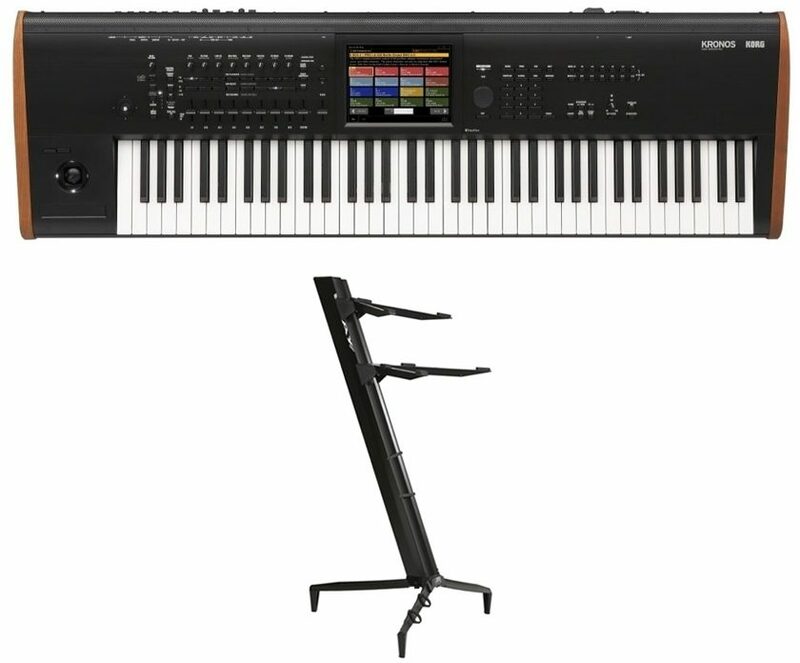 Hands-on hardware includes an assignable control surface, dual joysticks, ribbon controller, top-of-the line keyboard action, and KORG's revolutionary tap-and-drag color TouchView(TM) display. Best of all, KRONOS integrates all of these music-making resources into a single instrument in ways that no software setup or hardware platform can rival. KRONOS easily delivers everything you'd expect, plus many things you've only dreamed of. Set List mode keeps all of your custom settings and performance notes organized in the display for on-the-fly selection. Smooth Sound Transitions eliminate note and effect dropouts when switching sounds or modes. Connect virtual patch cables, select sounds, plus edit envelopes and sequences--all using the eight-inch color Touch View display. Add to that advanced sequencing, KARMA, and Drum Track composition tools. Enjoy exclusive KORG wave sequencing, MS-20 filtering and the impossibly-rich Polysix chorus. And only KORG boasts the finest sound-design team on the planet, so you can always sound your very best. The KRONOS piano engine has always offered huge collections of non-looped/natural decay stereo samples, recorded for every key, with additional unique tools to customize the piano to your needs. Inheriting all of this SGX-1 functionality, the new enhanced SGX-2 Grand Piano engine introduces the new Berlin Grand piano to the existing deep German Grand and lively Japanese Grand. The Berlin Grand offers resonant piano sound with a striking sense of depth. Other enhancements to the SGX-2 engine included Sympathetic String Resonance and newly-recorded Una Corda (soft pedal - literally "one-string") samples. KRONOS comes equipped with thousands of sounds, created using various synthesis modes and calling upon over approximately 21 GB of preset waveform data covering a variety of genres. Each one has been carefully crafted by the KORG Sound Design team. The internal SSD offers a generous 62*GB capacity, providing enormous space for user sampling or downloading KRONOS Sound Libraries. These optional expansion KRONOS Sound Libraries add new professionally programmed sounds--without the need to add any new hardware. Available until 11 PM (EST) today. Mention special code 20K-NKBM when you call.